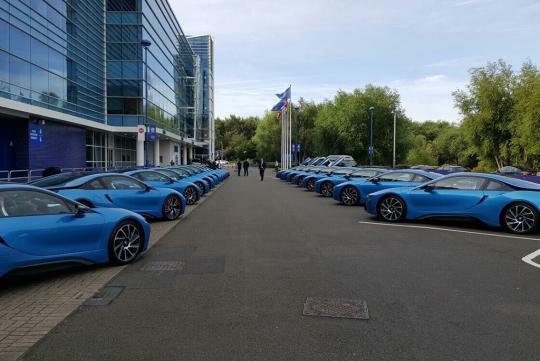 Leicester City players were awarded by their chairman with a brand new BMW i8 each after their historic English Premier League win a few months ago. 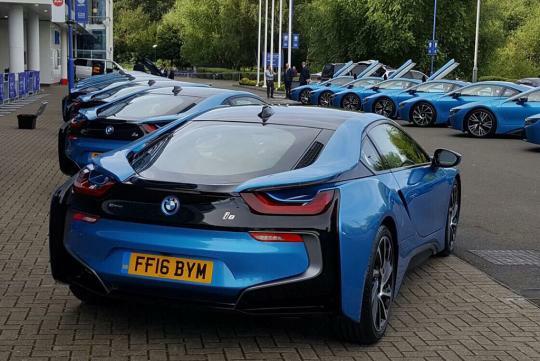 According to Carscoops, the club's chairman Vichai Srivaddhanaprabha is said to have forked out almost S$2.70 million to buy 19 BMW i8s. Not that the chairman's wallet would hurt, as he is worth more than S$4 billion. Four players from the he championship squad didn't receive an i8 as one of them has moved to Chelsea while the three others were only briefly used as substitutes. The cars were all specced identically with only the different alloy wheels distinguishing one from another. $2.7M? Here can barely buy 4.5 cars.